I visited the Colette Dinnigan Unlaced exhibition yesterday and it was such a treat to see so many beautiful works up close! I took a few photos of my favorite designs on display, but honestly there were so many beautiful designs I would have taken them all home if I could! 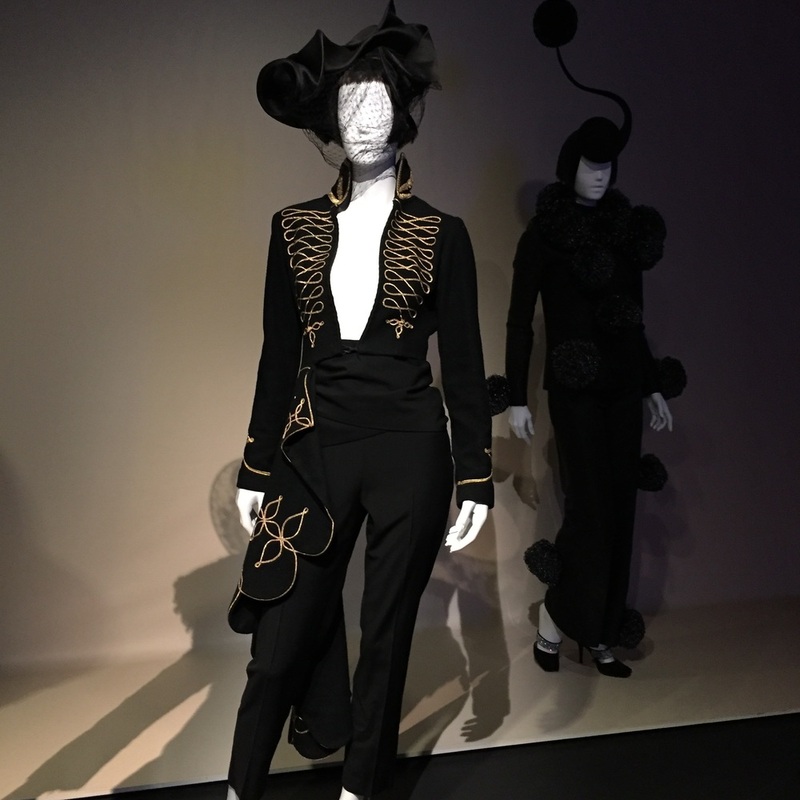 Between the Isabella Blow exhibition and this one, I would say this one is better... More on display, more of a sense of what the designer/designs is all about, and just so much more thought out- rather than just designs shoved on mannequins in a white walled room. Definitely worth the look- but it is about to end, so don't delay! I think it ends on the 28th August 2016. Take a look at the powerhouse museum website. Go and see this display of beauty when you get the chance! I love the print on the skirt of this dress- stunning. I love everything about this dress, and it's possibly one of he more wearable styles in the collection. I could imagine almost any women pulling this style off. I would personally wear it everywhere if I had it! As soon as I saw this dress I loved it. It's so striking with the diagonal beading and the white and blue. I really really loved the walls of inspiration... Reminds me of design class, of my work room, of just getting busy and into my passion! 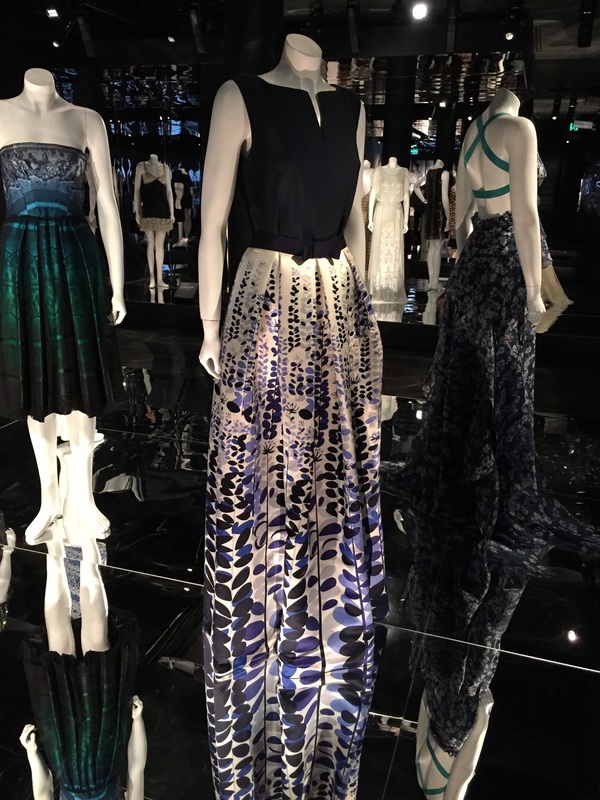 Today I had a pleasure of visiting the Isabella Blow exhibition at the Powerhouse Museum in Sydney. My friend had booked tickets for a high tea/exhibition viewing day. The exhibition was lovely! The designs were amazing! A few favorites are shown in the photos below. 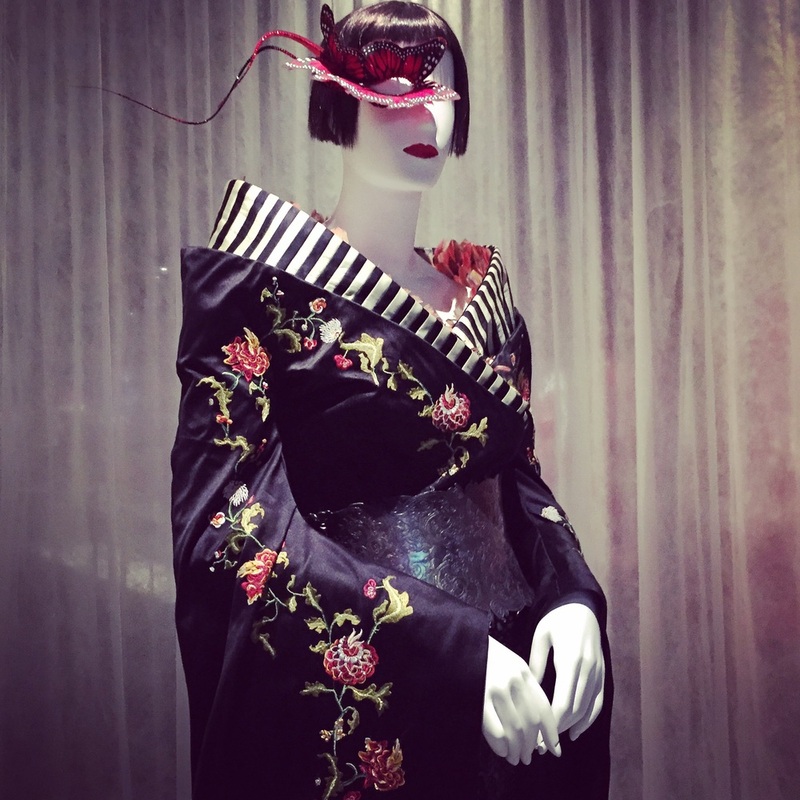 Hat by Philip Treacy, the kimono dress by Alexander McQueen for Isabella Blow. I loved the above kimono outfit... I would wear it all! Even the eye piece! Stunning!!! 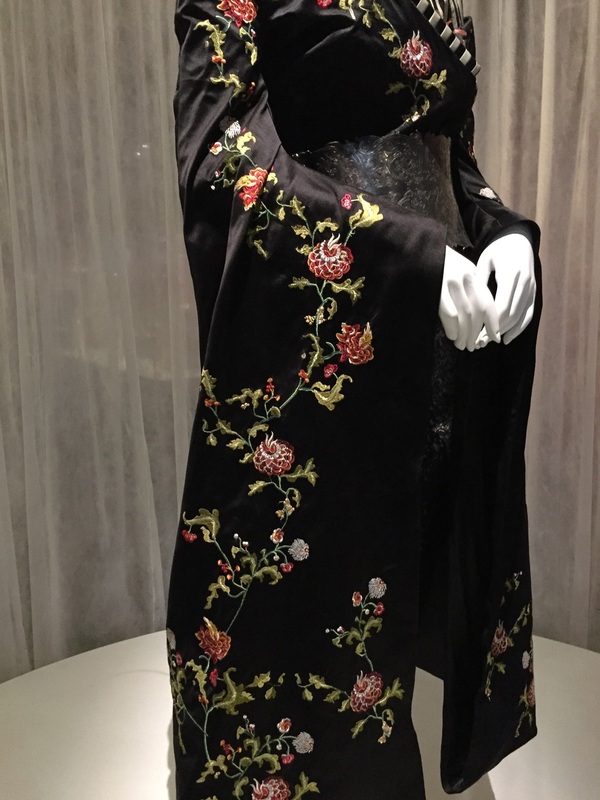 Possibly my favorite "wearable" outfit from the exhibition... This black matador suit. I love everything about it. I only wish the exhibition was bigger, and had more designs to view. I also think sometimes having a plain boring background isn't really what the exhibition is all about... They should have gone with a bit of colour and fun... After all, from what I gather her taste was a bit out there!!! My favorite hat in the exhibition. I love that even though her clothes and shoes were so delicate and beautiful she still wore them.... She wore them to death! There were holes and tears and cigarette burns on them, but she wore them, and after all, beautiful clothes such as these should not be left in the wardrobe collecting dust! Detail of one of my favorites!